Countdown to Extinction; the Boneyard. Disney Radio Cruise (formerly River Taxi, formerly Boat Ride). Festival of the Lion King; Characters; Pocahontas. Plans, rumors and construction updates on DAK's next land. You are here! 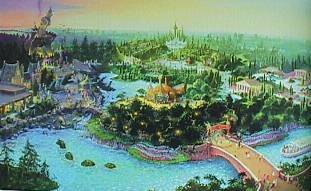 Plans, rumors and construction info on DAK's Beastly Kingdom! 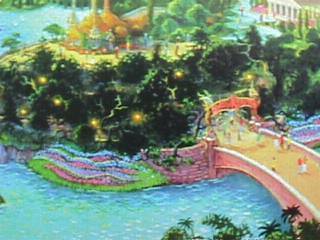 Once again, there are hints that Walt Disney World might be ready to begin work on Beastly Kingdom -- a planned, but never built, section of Animal Kingdom. For those who don't remember, Beastly Kingdom would explore mythological animals, such as dragons and unicorns. Plans called for a large roller coaster, as opposed to the tamer, family-friendly coasters slated for Disney's Dinoland. 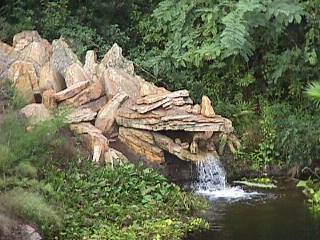 Three years after Animal Kingdom opened -- and not a unicorn in sight -- you could hardly blame some for believing that the real myth was Beastly Kingdom, as speculation bounced it back on the drawing boards, then off the drawing boards, then on again. 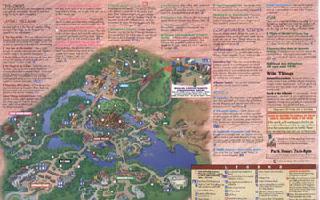 That's why word that something big is planned in 2004 for Animal Kingdom has brought back beastly rumors. Walt Disney World's president, Al Weiss, told cast members the Disney team is designing an "E-ticket" attraction and a new "land" -- similar to the Asia and Africa continents already represented -- for Animal Kingdom that would open in three years. The comments were confirmed by Paul Pressler, chairman of Walt Disney Parks and Resorts, in an interview with Laughingplace.com. Currently, Animal Kingdom is adding a new section to Dinoland with the new family roller coasters and a carnival area, but that's scheduled to open in 2003. Besides, they don't include an E-ticket attraction. For those who don't remember, E-tickets were used for only Disney's best work. Of course, Pressler wouldn't elaborate. Neither will Disney officials. According the Orlando Business Journal May 15,2000, Eisner: Disney ready to expand Animal Kingdom slated for `whole new area,' says Disney exec. LAKE BUENA VISTA -- Animal Kingdom is about to get a bit wilder. Walt Disney Co. CEO Michael Eisner confirms that a "whole new area" currently is being designed for Walt Disney World's fourth theme park. Eisner gave few details about the new section of the wildlife exhibit. 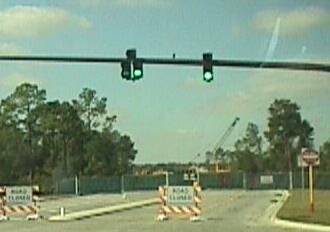 Officials at Walt Disney World will say only that the area has not yet been announced. However, Eisner listed the Animal Kingdom expansion along with the Safari Lodge and Pop Culture Hotel -- both of which currently are under construction -- as examples of how Disney is not slowing down its capital spending in Orlando. "We need more capacity and more rides," the Disney chief said while in Orlando to kick off the Millennium Dreamers event. 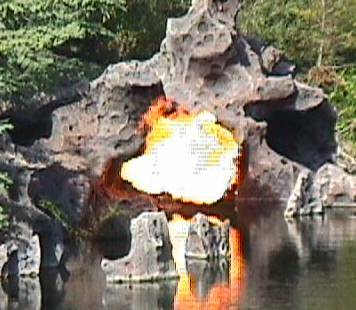 When the formal announcement comes, it should put an end to persistent rumors about what would come next for Animal Kingdom -- rumors that began almost as soon as the park opened in 1998. 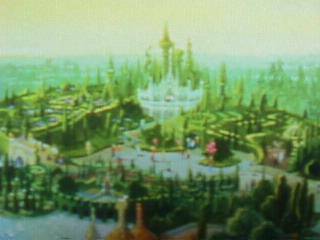 One likely addition is Beastly Kingdom, which originally was planned for the park. The area, which would be devoted to mythological creatures, also would feature rides, something Animal Kingdom now is missing. In fact, the marketing materials and logos for Animal Kingdom always have had the silhouette of a dragon -- yet to date, there are no references to dragons anywhere in the park. Shortly after Animal Kingdom opened, Disney officials stated they were considering opening another park area featuring animals from Australia, South America or North America. Currently, the wildlife showcased at Animal Kingdom hails from Africa and Asia. Disney has been looking for ways to boost attendance at Conservation Station -- and a currently unused tract of land connects that area to the "Asia" section of the park. Finally, there has been talk of an expanded Dinoland -- including a roller coaster. According to a source, ...the road construction outside of DAK is for the future Safari hotel and that the land moved outside of the backstage area of Rainforest Cafe is there only to prevent guests from seeing a backstage area that isn't too pretty. As far as most Orlando natives and Disney employees know, construction for Beastly Kingdom has not started and is still very much in the air. Over the last week there have been reports from several sources that construction has begun on Beastly Kingdom (BK), DAK's 'real' fifth land. Today, DAK has Safari Village, DinoLand U.S.A., Asia, Africa and Camp Minnie-Mickey. Camp Minnie-Mickey is the 'gateway' to Beastly Kingdom, which will be built to the west of Lion King Theater (behind). 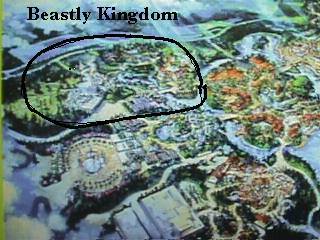 The original concept of Beastly Kingdom is outlined in the following section. What we have heard so far is that current plans are to include a stand-up dragon-themed roller coaster - "Dare the Dragon", and a maze - "Quest for the Unicorn". 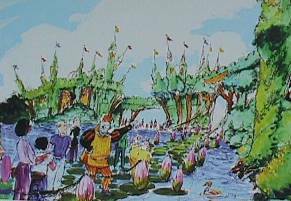 Attraction site development may start in late summer. I'm certain that as Universal's new Islands of Adventure (IOA) Theme Park opens in May, there will be a lot of pressure on Disney to stay in the news. What better way than to announce a new theme area, and a couple of roller coasters. IOA will have three major coasters - Duelling Dragons, Incredible Hulk and Pteradactyl Flyers, and their publicity machine is in full gear. For our construction photos of IOA Click Here! One of the areas was a fantasy area, featuring 'animals who never existed'. The other two areas were Safaris of existing wild animals and pavilions of real animals you can't see, like dinosaurs. Other possibilities included mythical beasts from Greecian legends, dragons and unicorns in a medieval castle environment. If/when Beastly Kingdom is officially announced, we'll expect to see more firm plans as to what it will contain. Click here to return to our Camp Minnie-Mickey page. Click here to go to our Disney Animal Kingdom Frequently Asked Questions page. Click here to return to our Disney Animal Kingdom home page.